Switzer Picnic Area vicinity map. Switzer Picnic Area to Switzer Falls: 3.8 miles, 990′ of gain and loss. Switzer Picnic Area to Switzer Falls and the mouth of Bear Canyon, 5.0 miles, 1100′ of gain and loss. Switzer Picnic Area to Bear Canyon Campground and Switzer Falls: 7.5 miles, 1,860′ of gain and loss. 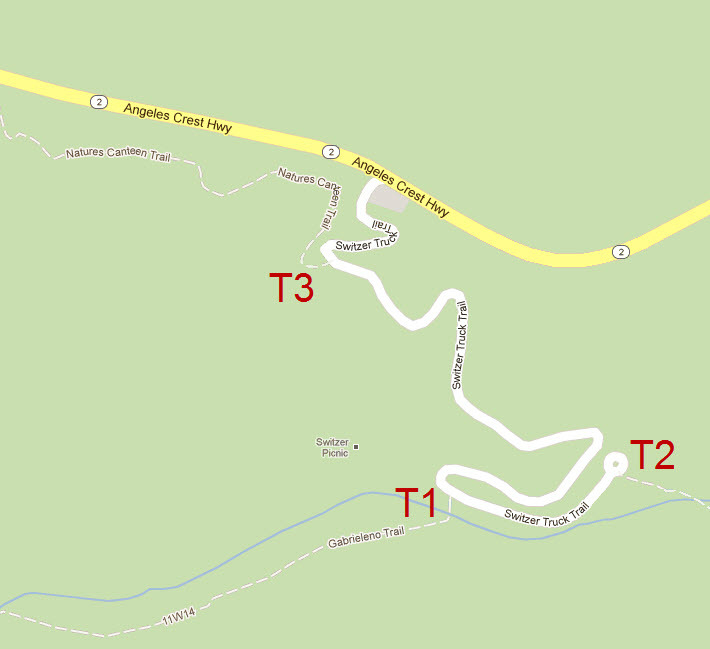 Switzer Picnic Area to Oakwilde Campground: 10.8 miles, 2,135′ of gain and loss.